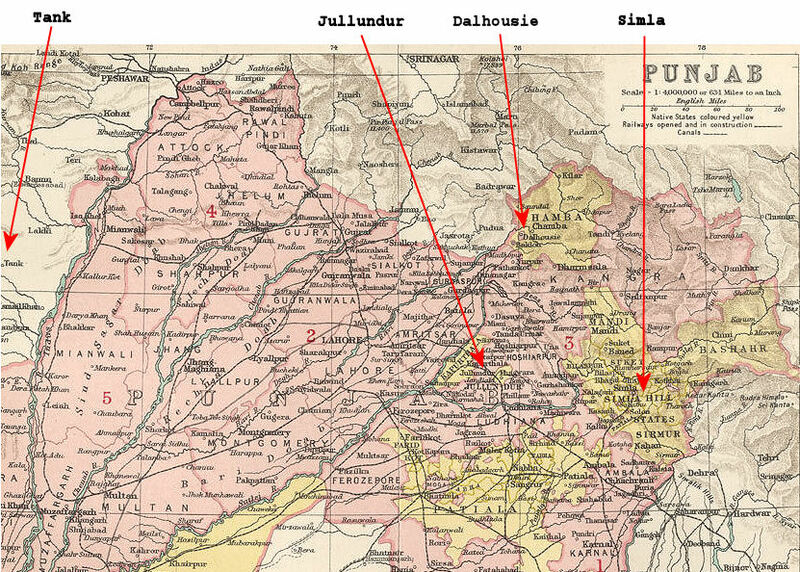 Maps - Punjab, Simla & NWF. On the way to Waziristan in 1917, according to Harry Parker's photo album & diary the regiment stayed at Jullundur for 1-2 weeks, then Dalhousie for 4 weeks before proceeding via Jullundur to the NWF, where Tank can be seen on the far left. The railway network which took them on this route can be seen on the map. Later Harry's photo album includes photos of Simla.